What is your show’s purpose? How does what you’re doing now fit into your larger plans? Who can you develop relationships with that will take your show to the next level? And don’t forget to download the free report we mention in the episode: The Beginner’s Guide to Launching a Remarkable Podcast. 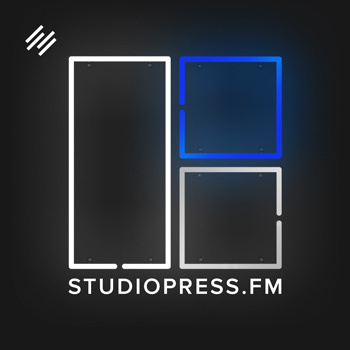 Jerod Morris: This is Rainmaker FM. 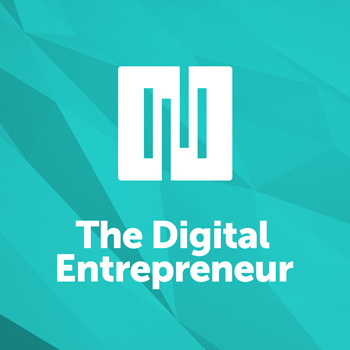 The digital marketing podcast network. It’s built on the Rainmaker Platform, which empowers you to build your own digital marketing and sales platform. Start your free 14-day trial at RainmakerPlatform.com. Welcome to The Showrunner, where we have one goal. Teach you how to develop, launch, and run a remarkable show. Ready? 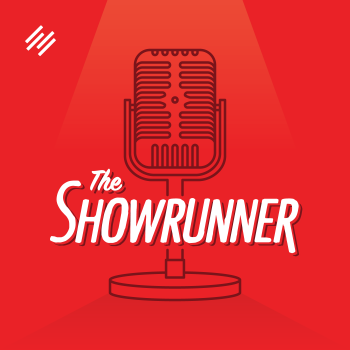 Welcome back to The Showrunner, the podcast for people dedicated to creating remarkable audio experiences for their audience. This is episode number 86. 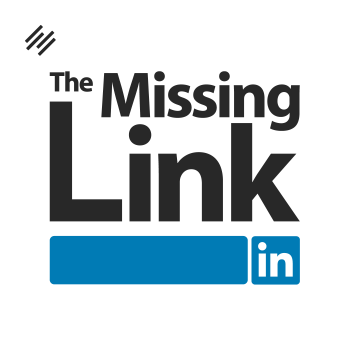 I am your host Jerod Morris, VP of marketing for Rainmaker Digital, and I will be joined momentarily, as I always am, I hope, by my struggling-to-connect-to-Skype co-host, Jonny Nastor, the host of Hack the Entrepreneur. This episode of The Showrunner is brought to you by The Showrunner Podcasting Course. 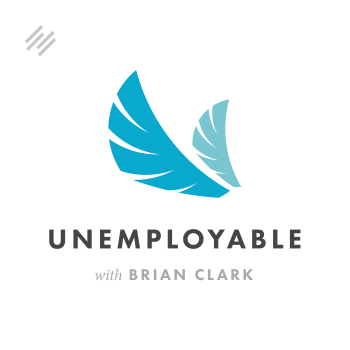 What could happen if you launch a podcast in the next 30 days? What could happen? We have a free report that will help you answer that question. 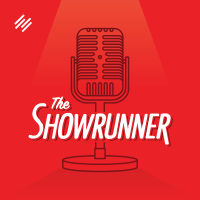 Go to Showrunner.FM/Report to download it for free today. That’s Showrunner.FM/Report, and we’ll tell you a little bit more about this report coming up later in this episode of The Showrunner. Jonny Nastor: Well, I’m done struggling with Skype, so that’s good. Jonny Nastor: Other than that, just looking at the snow, man, out my office window right now. Jerod Morris: Are you saying, “The snow, man?” Or, “The snowman?” Like Frosty the Snowman? Jonny Nastor: Snow comma man. Jonny Nastor: Looking at the snow, Jerod. Yeah, and dreading, kind of, going outside, but other than that it’s going well. Jerod Morris: Very nice, very nice. Well hey, we have a fun episode today. I hit you up on Slack earlier today. I said what do we want to talk about? You said nothing on the Trello board was really inspiring you. I kind of agreed, and so we decided to dig back into the archive for inspiration, and you found an episode from 2016 that jumped out at you that you basically wanted to redo for 2017. Jerod Morris: Yeah, revisit is a better word than re-do. It’s not like we’re re-saying the same thing. Jonny Nastor: Yeah, totally. Just totally revisiting it and actually a portion of this has actually stayed the same from last year, but I’m sure, once I get into it, it’ll be a different perspective of it, but I’m sticking to the same path. Jonny Nastor: Which I think is a good thing. Jerod Morris: Okay, and obviously people saw the headline of the episode, so it’s ‘10 Tips for a Better Show in 2017.’ We’ll put a link to the 2016 episode in there as well because those tips, those thoughts, all just as valid today, but these tips are coming to you from me and Jonny, and we have another year of experience. We’re coming to you from the perspective of the shows that we run, and so, we’ll obviously have a bit of a different perspective on this now, so it’ll be interesting to revisit this and dish out some of these tips to you. Are you ready, Mr. Nastor? I feel like since this was your idea, you should bat leadoff and we’ll do what we did last year, which is basically you’ll go one, I’ll go one. We obviously can each chime in on the other person’s tip, if we want to. Jerod Morris: But no heckling allowed. Jonny Nastor: So we talked about this on Skype, but we didn’t clearly sort of define how we were going to do it. It was confusing. Let’s just put it this way, Jerod. Cause I had the show notes in Google Docs still from last year. Or not the show notes, but the document we used to record the show last year, and it was like ‘10 Ways to Improve Your Show in 2016’ or something, it was called. And under your name, there was like 13 things. And then there was a thing that says ‘Jonny’s five,’ and then I had five. So it was actually 18 things. Jerod Morris: How did I do 13? Jonny Nastor: I don’t know, but I just deleted them now. Jonny Nastor: So we actually had 18 things, so we’ve learned to count since then, which is really cool. But the way I did it, which is slightly different than, I think, the way you did your five this time, just to kind of set you up what we’re doing. I have my five, which are kind of like a general thing, and then I’m gonna follow it up and just kind of tell you how I’m implementing this for Hack the Entrepreneur. Jonny Nastor: For my top five, my first one is to set three-month goals, which in the intro I said that one of mine had actually stayed the same. And this is something I adopted about a year and a half ago, and it works really, really, really well for me. Sort of like sprints, where I had like a key focus for that quarter. It’s not like I map it out day-to-day, but I know that each week needs to get a part of it done, and that I could break that down per day if I have time to work on it that day. But, it keeps me really focused on where I’m trying to go. The three-month goal for the first quarter of 2017 is SEO and content strategy. Because I’m not enough of an SEO expert at all, I’m just gonna lump those two together, so I hope if you’re an SEO person out there, and you’re telling me SEO and content strategy aren’t the same, but to me, they’re the same. 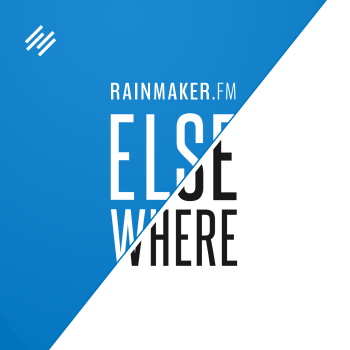 I’ve been just kind of been putting out a whole bunch of content on Hack the Entrepreneur on my Rainmaker site, and mostly audio content, and it’s just been kind of all going into just a pile. And so, in December leading up to this, I kind of went through, actually went through Pamela Wilson’s new book, which I can’t remember what it’s called. But we will link to it, and it’s the content strategy book. You have it right behind you probably. I just saw how to map it out. I broke it into categories, my site, and now I’ve created a plan for the content I want to create for this quarter. So it’s Master Content and Marketing: A Simple Strategy to Cure the Blank Page Blues. Jerod Morris: That’s right. Pamela, I’m holding it up right here. Jonny Nastor: Yeah, it’s an excellent, excellent, excellent book. That’s my big focus. I’m fully in every project, even in my personal life that I take on. I like to work in the quarters. I think it’s a really smart way for you kind of head into things. It’s overwhelming, that whole one year, so I keep cycles to three months. This first three months is my SEO and content strategy. Jerod Morris: I like that. I like that a lot. It’s interesting, because I think the format and the context of your show can sometimes help you determine what accurate time frames are. For instance with the Assembly Call, I always think in terms of off-season and in-season. Because they’re so totally different, just the demands on time and the availability to make improvements and do different things. It’s basically, there’s kind of like six months on one, six months on the other. And that’s just what makes sense for that show. I think more people’s shows are like yours, so more people will be able to do those three-month sprints, which I think is a really great way to make sure that you’re making meaningful progress forward. Jonny Nastor: See, and the way I would do it, Jerod, I would think about it as in two sprints per season or off season, for you. On season, obviously, it’s hard, because you kind of just have to get the season done. But off season, I would break it into two sprints, because to me six months is like you can put stuff off too long. Because, put it off ’til the second quarter, you’re like, “Well, I still have six months. Oh, I have five months.” This way, it’s like, “No I only have three months, two months, one month to get this half done. Jerod Morris: … and then break it up into two sprints. That’s a good idea. Jonny Nastor: Yeah, and that way you’re not … Otherwise it just seems like the last month you’re just frantically trying to get six months worth of stuff done. At least that’s how I work. Jerod Morris: No, I like that. Like for instance, I know one of my goals this offseason is gonna be to reach out individually to all the radio stations in Indiana, and try and market our radio show to people. So that could be something for the first three months, and then the second three months could be the normal, “Okay, we need to improve systems. Let’s see if there’s a replacement for Google Hangouts yet,” like all kind of the ‘get ready for the season’ type preparation. Okay, that’s interesting. All right, well I already learned something. Can we wrap? Jerod Morris: I’m just kidding. All right, so I took a little bit of a different tact. I actually just went through … And I didn’t do this on purpose, necessarily, but as I went through thinking about ways that the people listening, our dear listeners, can improve their podcast, I just started thinking in questions. And these are all questions I’ve been asking myself about all of my shows, and so the first one is, “What is your purpose?” Your purpose as a showrunner, and what is the purpose of your show? And I don’t mean your topic, I mean your purpose. The topic of Hack the Entrepreneur, for example, is ‘entrepreneurship,’ and getting into the mindset of really successful entrepreneurs. 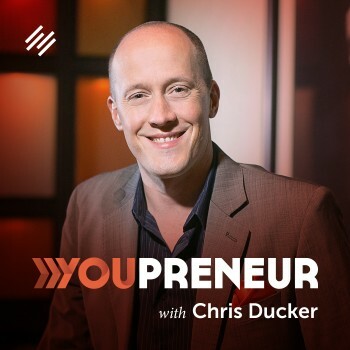 That’s your topic, but your purpose for Hack the Entrepreneur is to empower people with mindset tools to achieve their loftiest goals, at least that’s, to me, being someone who listens to your show, I think that’s your purpose. Your purpose is, “What do you enable to do? What do you empower people to do?” And your topic, your content is the vehicle through which you do that. So it’s like the Assembly Call. Okay, we do a post-game show for IU basketball games, but our purpose is that we provide a sense of community and comradery among IU fans across the globe by celebrating the history of IU basketball. Because it’s not just the post-game show, we do some other content like our IU artifacts content and some of the different interviews with X players in the off-season. Everything we do is geared toward that history and geared toward the community. The reason why this is important is because your topic is what will get people to listen, and your topic is probably what will get people to subscribe, but your purpose is what will get them coming back, is what will get them sharing, is what will get them to donate, if you have a donation model. It’s what will get them to follow you to some sort of paid product, or paid membership site. I think we should always be thinking bigger, and so, to me, really understanding what your purpose is. Why is this person still listen to you two years in? What is that purpose? And understanding that subtle difference between purpose and topic, for me, is the single greatest way that I have found in any moment of overwhelm, boredom, just kind of being tired of it or ready for something new. Going back and centering myself around that purpose always gets me back on the right track. For the new year, if you can’t clearly define that … Like I was just able to say it for the Assembly Call, and that took me two seconds to write that sentence because I’ve known it, I’ve thought about it, I’ve digested it fully. That is something important to do for you this year, especially if you’ve had your show for a year, a couple years, you should be able to come up with that very simply. Jonny Nastor: I love it, I love it. My second one is consistency. Aim for and hit consistency. 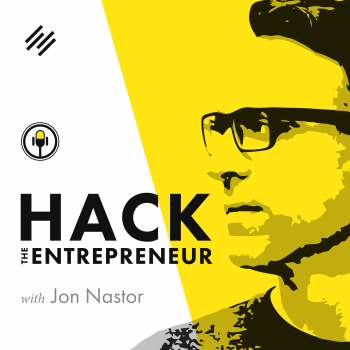 I publish three times week on Hack the Entrepreneur now for over two years, consistently. I absolutely attribute that to the successes that I’ve had is that consistently publishing the content when I say I’m going to. So this can tie into your goals, your three-month goals, but make a goal of what you can reasonably, consistently publish on. 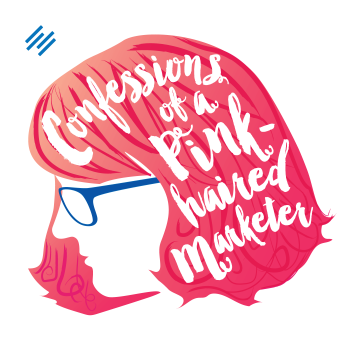 And so since I’ve kind of nailed my consistency over years now of publishing my podcast, I’m switching it over to kind of intertwine with my three-month goal of SEO and content. 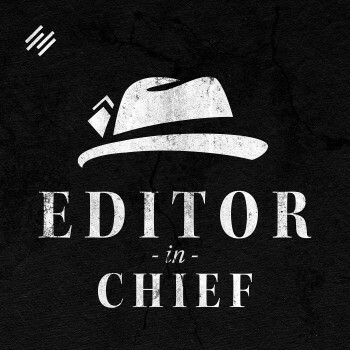 I’m starting to write and publish at least once per week, on the site, like a full article or blog post. I say minimum once per week because once I have a couple things I’m working on, getting going, and then it probably will move to two per week. But I will never get less than every single Monday. I will publish an article along with a podcast episode that day. This is something I didn’t do consistently last year, and my audience and, I guess, just my website, and just, traffic in that sense, I guess, didn’t grow the way I wanted it to because of that inconsistency. Find your publishing schedule that is consistent for you and stick to it. I can’t tell you what’s gonna work for you. Be honest with yourself, what you can reasonably do, I’m doing three episodes a week, and now one article. But, whatever it is you can do, do it, and do it consistently, and you will see huge returns over time. 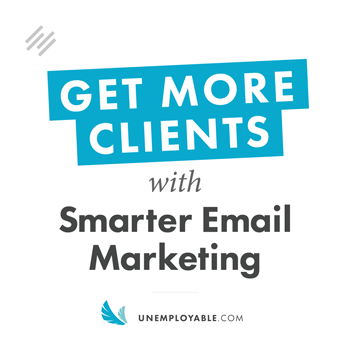 Jerod Morris: Is this in addition to what you’re doing with your e-mail newsletter? Jonny Nastor: Yes. This is actual … based on Pamela’s book, again, with a content strategy for SEO purposes, and getting new people from search engines, rather than … Everybody right now basically comes from audio and from iTunes. Listens to the show, and ends up on the site. Now I’m looking to sort of branch out and find more people through Pamela’s content strategy. Jerod Morris: Do you know yet what your call to action will be for those posts? Is it gonna be to get people to subscribe and listen to the show or to get them on an e-mail list? Jonny Nastor: To get them onto an e-mail list? Today’s Tuesday we’re recording this on, so yesterday was the first post that went out. It was a goal setting post and a goal setting worksheet. The call to action is a goal setting worksheet that they get to download that for the e-mail, and then a couple days later, they go into what’s called my welcome sequence, which introduces them to my book, introduces them to my to top 10, gets them to subscribe to the show. All those things. Jerod Morris: Very nice, very nice. All right, so my second question for you, as you seek to have a better show in 2017, is, “How does this fit into your plans?” And this is kind of a two-part question because there’s a macro answer and there’s a micro answer. In the macro sense, “How does this show fit into your plans?” Because if you don’t understand … And this is in addition to understanding the purpose, and the purpose is really ‘how you are helping your audience.’ But how is this show helping you? How does this fit into your plans? Into your life plans, into your career plans? One thing that I am getting a lot more focused on, as I get older, as I have a family. I have a daughter now, is really trying to live intentionally so that I don’t wake up 10 years, and I’ve just drifted into this place in life that I’m at. I want to be intentional and make choices that lead me to a place that I want to go, that my wife and I, and my daughter, that we want to go together. At the point where I don’t know where it fits, it may be time to walk away from that show, even given how great the purpose is. And so that’s something I’m constantly thinking about. And my ability to recharge that answer is what allows me to keep going forward and keep moving that show forward. But this also fits in a micro sense. Because let’s say … Jonny, take your blog post for example. Like let’s say that you just woke up one day, you read on some blog about growing a podcast, “Hey you should write a blog post every week.” And so you just start doing it without really thinking, right? And you don’t really understand where that fits in. Well, number one, your momentum to continue doing it is probably going to fade and your content probably isn’t going to fit really what it needs to, and this is going to end up just kind of being empty work that may not have anything to show for it. But, if you really understand how this particular blog post fits into the bigger picture of the show and how the bigger picture of the show fits into the bigger picture of your life, well now everything is going in the same direction. And that’s so important to understand. Like with the Assembly Call, we realized that doing previews of games was kind of fun and got us a little bit of traffic, but it didn’t really fit. A preview is not the same as a post-game. A preview is looking ahead, not looking back. We look at the history, not ahead, so that didn’t fit into our show, into what we’re doing. Obviously we know that time is valuable, our effort is valuable, and our attention is valuable. So we cannot waste it on things that aren’t moving us toward a goal, a direction that we understand that we want to go in. Ask yourself about the big picture of your show and about all the little things that go into producing your show, how does this fit into the bigger picture? And if you don’t know, let that be an alarm bell that you better be able to answer that and figure that out, or you may not want to be doing it anymore. Jonny Nastor: Interesting how closely that one ties into … Well, I guess to my first two even, the fact that I’ve just been producing content and didn’t know what it was … I knew what it was supposed to do, is that it was supposed bring people to my site and get them onto an e-mail list, but not in a sort of systematized way. Like not in the way that Pamela has laid out and that whole strategy around the content. So, that’s cool. Jerod Morris: Before you do number five, real quick, can I interject here? Jonny Nastor: Oh, number five. Jerod Morris: Number three for you, number five total. But I would like for you, because really, the next one should be, if people want a better show in 2017, if they haven’t yet, they should go download the free report. Jerod Morris: Where might they do that? Jonny Nastor: They would go to Showrunner.FM/Report. Showrunner.FM/Report. Jerod Morris: It’s simple, it’s no frills. It’s nine steps, and what are some of those steps? Jonny Nastor: You can define … Or how to define your audience of one and pick that crucial, crucial format for your show, and then stick to it. You’re going to learn our six paths to podcast monetization, and then we take you sort of behind the curtains and lay out the exact equipment that Jerod and I use to each run our podcast. We don’t always talk about the technical side, and the microphones, and the mixers and stuff that we use, but in the report you get actual … There’s links to the Amazon page, actually, for the stuff that we actually use, so it’s kind of like a nice, fun peek behind the curtains. But yeah, you can get your free nine-step beginner’s guide to launching podcast. Go to Showrunner.FM/Report. Funny thing, Jerod. I didn’t realize how sick I actually sound. You mentioned it before we started, and now I can’t stop thinking about how plugged up I sound. And I don’t feel it at all. I can totally breathe, but I feel like I’m talking really nasally. Jerod Morris: Two important points here. Number one, Jonny and I are obviously friends, and we’re close, so I feel like I can say that to him if I feel it. However, if you’re going to do an interview, maybe with someone that you don’t know, maybe you don’t say that to ’em right before the interview so you don’t get them off track. Jonny Nastor: Yeah. “You sound sick!” But it’s … I guess ’cause I haven’t been talking this much all day, but now I’m noticing it, but yeah, it’s interesting. Like people say, that’s kind of like the ideal amount, the ideal length for a podcast. And I will say, I actually go through and I track every single episode of the Assembly Call. I have a spreadsheet, I put ’em in my hand. I put my data in by hand just because I like knowing it. And so putting it in my hand, it’s kind of fun, and it allows me to know my numbers intimately. And almost every single episode of the Assembly Call, the average listen time is between 16 to 23, 24 minutes, somewhere in that range. And so, what that means is if you have a message that you really want to get out, or you have a call to action, you definitely want to get it in, you know, some time before the 20-minute mark. That’s why I wanted to stop right there and let people know, and also, obviously let them know what the mindset is behind that. So as you’re hosting your show, you should kind of have a clock in your head if you’re not actually looking at an actual clock like we are here with Skype to understand, you know, what the time is. So if you have to get that specific message in, that’s about the time you want to do it. Jonny Nastor: Well done. Now onto number five, for those of you still listening beyond the 18-minute mark. Jerod Morris: The die hards, the die hards are still here. Jonny Nastor: This one’s a bit nerdy, but something I’ve started doing this month and, because I have some friends who are doing it, and it’s helping my show a ton. It’s time tracking. Literally, like, not using the Pomodoro Technique of like working for 25 minutes, but literally just Toggl. T-O-G-G-L. You can get it on your phone. 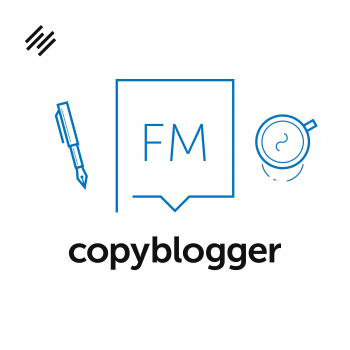 I haven’t done that because I’m trying to stay off my phone more, thanks to Jerod’s excellent Copyblogger post. But I have it on my desktop, it’s completely free. It’s running right now. As of right now, I’ve been working on Showrunner for 53 minutes and 28 seconds in this last burst, and it really focuses me into a shorter time span of work. So yesterday I accomplished a ton, and I tracked all my time. I felt like I worked all day, and I worked for four hours, and I think it was like 42 minutes, which was awesome. I didn’t have lunch, though, or anything, but it just … It was just cool. I was like, “Man, I got so much done.” It felt even better because I accomplished it in less than eight hours, so I think it will be useful for everyone’s podcasts if you only have so much time. If you only have one hour or three hours or five hours per week, this will allow you to … When that Toggl’s running in my corner, you don’t waste time on Facebook. You don’t hang out on Twitter doing nothing. You’re working, getting the things done that need to get done on your show right now, because you’re so aware of the time. It’s a bit nerdy, time-tracking, but it’s absolutely free to use, and I 100% suggest it for 2017. Jerod Morris: Trust me, if people are listening to a podcast dedicated to podcasting, they’re into nerdy podcasting talk. There’s not a problem there. So for my third question, and this may be a difficult one to answer, but it’s, “Where are you vulnerable?” Let me give you a few examples from the Assembly Call that might help illustrate this, okay, where are you vulnerable? We use Google Hangouts to record our podcasts, and the reason why we do that is because the live component of it is very important. And in fact, the live video component of it is very important, now that it’s being broadcast at a bar in Bloomington. Every off-season, I scour the web to try and find some replacement for Google Hangouts because, you know, sometimes it doesn’t work right. We’ve had issues with it at least once or twice a season. It interrupts us in the middle of a show, knock on wood, that hasn’t happened yet, and hopefully it won’t. But I feel a constant sense of vulnerability around Hangouts, especially since we’re not really, you know, I mean they’re still supported by Google, but it’s not like they’re really improving them. So that constantly makes me nervous, so I feel very vulnerable there. Where you vulnerable in terms of time? Well, we send our post-game analysis e-mail out after every game. It’s a big reason why people get on our newsletter, but that e-mail takes me an hour to an hour and a half to put together after every game. That time adds up, and the team has a lot of eight o’clock games this year, so that means I’m up ’til midnight, one o’clock doing that. Which, when I was single, wasn’t a big deal. When it was just Heather and I, it wasn’t a big deal. Now that I have a daughter, little bit bigger deal because my time is more valuable. So I’m vulnerable in the sense that this has been built in as a value proposition of the show, I’ve got to figure out a way to reduce that time or find someone else who can do it, because that’s just not sustainable. You can also be vulnerable to a competitor, so for the longest time, there wasn’t another show about Indiana basketball that would show up in podcast feeds the day after, the morning after a game. Now there is. One of the competitor sites has started doing one. It’s not a post-game show just like ours, but it comes out an hour or two later the morning after, and so it’s something else in there for people to listen to during that drive to work when a lot of people listen to our show. How can we make sure that they’re still choosing us, not this competitor? You can take a snapshot of your vulnerability at any one time, and it’s going to be different or it could be different three months from now, six months from now. I always try to look at this on an annual basis at an absolute minimum, these areas of vulnerability. The first few that came to my head were technology, time, and competitors. If you really sit down and think about this, you will probably think of a lot of others. But, I think this is always a good exercise to go through because the status that you have right now, the space that your show occupies right now, in the market, in the minds of your audience in terms of the priority level, that can change at any moment. And so we always needs to try and be ahead of that change so that we can position ourselves to either stay where we are or improve our position. Because if we don’t focus on it, then it’s almost inevitable that we will fade back into the background without even knowing that it’s happening. Jerod Morris: Where are you vulnerable? Jonny Nastor: I am working on my vulnerability. Jerod Morris: Open up Jonny. It’s just us. We stopped recording after the call to action. Jonny Nastor: Okay, step number four. Oh no, step number seven. Seven? Jerod Morris: Four for you, yeah, seven overall. Jonny Nastor: Okay, I didn’t realize we were doing it that way. It’s funny, actually, now that I’m going through these again, I’m seeing that three-month theme is kind of coming back to me. But creating remarkable experiences beyond the headphones. 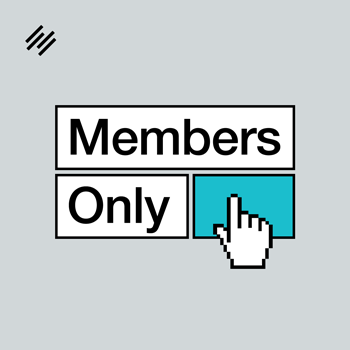 We talked about this last episode, the one podcast, one audience, one topic. How I’ve sort of made that switch, and between focusing … thinking of Hack the Entrepreneur’s one podcast and actually focusing onto the audience, and so this is what we’re actually doing right now at Showrunner.FM/Report. It’s an experience … we’re looking to take you into … I think just focusing beyond just audio. 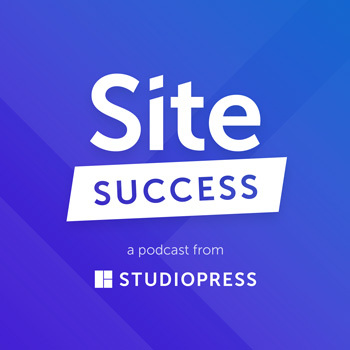 Like we can find you and we can create that experience through audio, but there’s other ways that all of us like to learn and consume content, so I think the idea of figuring out your site, figuring out content on your site, and then figuring out e-mail automation is how I’m doing it. And using e-mail to deepen that relationship with your audience. The audience that you found through your podcast, but now creating that remarkable experience and taking it further. 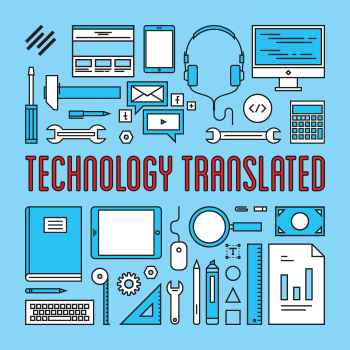 I think I’ve always thought of it as e-mail automation and sending e-mails, but not so much as creating the remarkable experience that we’ve always focused on in the audio side of it, and bringing that over to the text or e-mail side of it. So I think if you do that, and you think of that remarkable experience across everywhere that you interact with your audience, I think 2017 will be a much better year for you and your show. Jerod Morris: You know, it just dawned on me that the next time we need a topic, we can just pull any of these individual topics from this episode, and it could be its own episode. Jonny Nastor: But they are definitely topics. Jerod Morris: Yes. Okay, so my next one, and this, again, kind of as yours just did, it reflects on an episode that we did recently. But the fourth question from my perspective is, “What can you systematize?” This kind of gets there to the last question in terms of vulnerabilities and time. This will help you save time, but really look closely. Look harshly at what you’re doing, and figure out what you can systematize, whether that is creating text expanders for blog post templates, whether that is hiring an editor to help do your editing for you. Whatever it is, what can you systematize, what can you make take less time to get the same or even a better result? What you often find about systematizing is that you actually end up getting an improved result because you go with the best practice as opposed to try and reinventing every time. Where, yes, it may be better this time, but it may get worse the next time because you’re just a little bit lazier or you’re not feeling quite as inspired, whatever it is. What can you systematize? Really think closely about it and put some plans into action, and then if you constantly have this thought of, “What can I systematize?” you’ll be looking to systematize new things and improve your systems for old things, and that will help save you time, which then gives you more time to either invest in your audience, or invest in the things away from your show, which sometimes is just as important as investing in your show. Because if you’re not, you know, watering the flowers that aren’t in your show … That’s a really bad metaphor that I just made up on the spot. Jonny Nastor: I wasn’t going to say anything. Jerod Morris: It was awful. Okay, but you get the point. If you let the things out of your show just crumble and fall, well that’s eventually going to leak into your show. That time can be used for whatever you need it to be used for, but it will improve your show and your longevity in the long run. Jonny Nastor: If you don’t water the flowers outside of your show … This is number five for me. If you don’t water the flowers outside of your show, they will leak into your show. Jerod Morris: You know, like right in the middle of that, I realized it wasn’t going anywhere, but the words were already out. Jonny Nastor: All right, number nine, number five of mine. Number nine total is to … This goes back, again, three episodes I believe now, or two episodes where you talked about this Jerod, which is to get out and meet your audience. I’m planning to have a couple or several meetups for my audience this year. It’s something I’ve never done outside of having coffee with listeners while I’ve been on road trips, but I think that, again, it takes that remarkable experience, beyond the headphones, and even beyond e-mail and just content to actually personalizing the experience, but also really getting to understand what it is … Like what your purpose is as you were saying Jerod. How you know so well your purpose now for the Assembly Call because you’ve met those people in person, on numerous occasions now. I would really urge you to, if you have any way to meet even one listener or several at a time, but try your best to get out. Or if you want to do it over Skype because you don’t live in a location where you can meet up with other people, then just make that effort to reach out and meet your audience one-on-one or in a group setting to really, again, deepen that level of understanding of your audience of one that we talk about by personally talking to some people from that audience. It will give you a better understanding of everyone who’s out there listening. Jerod Morris: It’s interesting, so came up with these lists individually, but the fifth one for both of us is pretty similar. My fifth and final question is, “Who can you develop relationships with that will take your show to the next level?” And examples of relationships that you could develop are with audience members, with other content creators, with fellow podcasters, with potential guests. But who will help you take your show to the next level, so it’s pretty easy to see how that will work with an audience member, Jonny, and just think you just explained that quite well. But it’s also important to reach out and develop relationships with other content creators because you’ll get ideas, you’ll be able to share each other’s content and introduce their content to your audience, and your content to their audience, which can be important. It’s important especially to meet up with fellow podcasters because you can support each other. Again, you can share content together, you can share tips, you can share ideas, and that’s very important. Same thing with potential guests. And, so, sent her an e-mail, she e-mailed me back within an hour, and I’m going to be doing an interview with her on February 1st that we will then bring you on The Showrunner. Just kind of on a whim decided, “Hey, let me go kind of develop this relationship,” and now it’s going to turn into an interview, and, who knows, I mean she lives here in Dallas. You know, that could be something that goes further than that because she’s a great content creator. So, who are those, and don’t underestimate the power of your podcast to be the perfect introduction. Yeah, I could have e-mailed her and asked her questions, but there’s something a little more powerful about saying, “Hey, I host a podcast called The Showrunner, I want to talk with you specifically about your interview style and how you come up with questions.” Even in her first reply, it was, “Oh, yeah. That’d be really interesting to talk. I’ve never really thought about it in terms of podcasting before.” And so I think that perspective will be really interesting. And it was different, I think, than other e-mails that she’s gotten. Your podcast can be that door opener for you, and so just think about who can you develop relationships with that will take your show to the next level. Because ultimately, you can only take your show so far, you really can. 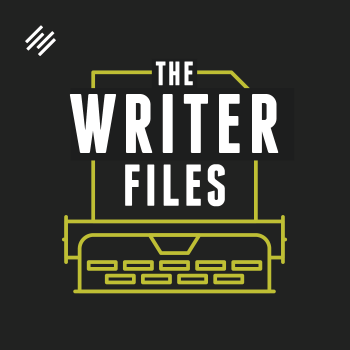 And then it’s gonna be about who you develop relationships with that can help spread the word, that can come and help you create better content, that can help you become a better showrunner. That is what is going to ultimately prove to determine the ceiling of your show. Give your show the greatest, the biggest potential ceiling by developing as many meaningful, useful relationships as you can. So ask yourself that question. Who can you develop relationships with that will take your show to the next level? Jonny Nastor: This has been fun. Jerod Morris: This has been fun. It always is. I love these topics. Jonny Nastor: Mm-hmm (affirmative), me too. I’m gonna have to take some of these out too and put them on Trello so we have them. Jonny Nastor: I should have just added that as … That’s number eleven. Use Trello to organize yourself. Jerod Morris: Yes. Hey, and by the way, it would be really interesting. Send us a tweet: @JerodMorris, @JonNastor. If there are any of these individual topics that we just discussed that you would like to see broken out into a full episode, let us know which one or which ones, because we’ll be happy to do it, and there’s plenty more to say about all of them. But we’d love to know, and if you would love to talk more about the danger of just trying to come up with metaphors on the spot while recording, be happy to do an entire episode about that as well. We could water those flowers all day long. Jonny Nastor: But until then, get your free nine-step beginner’s guide to launching a podcast. Go to Showrunner.FM/Report. We put a lot of work into this thing. It looks awesome. 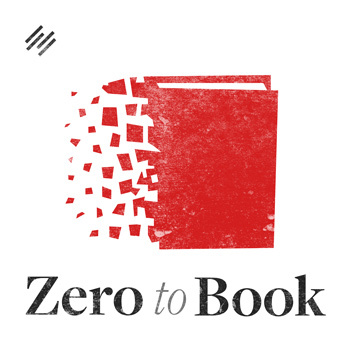 Actually, we just gave it away … James Altucher has that Altucher Report, and I was interviewed in there, and I gave it away through there to readers of the … It’s like a paid newsletter or something. Yeah, the feedback’s been awesome. People are like, “This shouldn’t be free!” Mostly because of all the graphic design work on it, and it looks so awesome. It’s totally worth it. So yeah, check it out, Showrunner.FM/Report. Jerod Morris: Absolutely, and then come back here, join us for another brand new episode next week. We’ll be here. We’ll have something fun to talk about, and we look forward to meeting up with you then. Jerod Morris: Wow, we actually … 36 I thought we were gonna go way over. Jonny Nastor: I thought so, too. Jerod Morris: Well, no, I think the episode was great. The discussion was … I thought it was really good. The audience can let us know, but I just mean … I thought we were gonna go like 30 minutes over. Seven minutes, that’s not terrible. Jonny Nastor: That wasn’t terrible. Jerod Morris: No, that’s not terrible. Jonny Nastor: Yeah, that’s cool. That was good.